Inspired by wellness, this collection features 7 Healing Stones. Each stone is chosen for its own unique healing properties, and looks beautiful either worn alone or paired with other pieces from the collection. 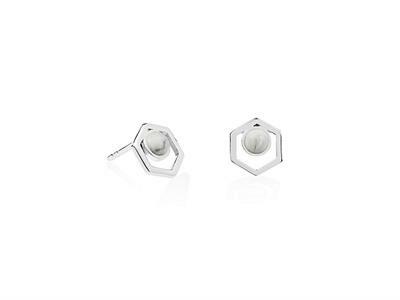 These studs feature Howlite stones on 925 Sterling Silver settings. This stone promotes composure, awareness and focus.